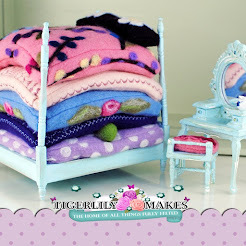 Tigerlily Makes: Tigerlily Makes Introduces the Complete Starter Needle Felting kit. Tigerlily Makes Introduces the Complete Starter Needle Felting kit. Hi everyone, well I won't waffle on through todays post I will simply let the introductory video do that for us.